A two-part epoxy resin coating specially developed for painting damp or dry concrete, timber floors, walls and ceilings both internally and externally. It will provide excellent protection to floors, walls and ceilings. For application to all factory floors, warehouses, workshops, plant rooms, cellar floors and walls, indeed all floor areas that demand protection and could be damp during the painting process. An ideal coating for water retaining structures such as reservoirs, holding tanks, water channels, fish tanks, shower rooms and swimming pools. A two-part epoxy resin flexible floor coating providing a “rubber like” waterproof coating of outstanding durability for both internal and exterior applications. This flexible epoxy coating is capable of withstanding excessive vibration and freezing temperatures. Climatic changes will not effect this product making it ideal for wooden floors, mezzanine floors, external balconies and storerooms that may vary in temperature and require good all round performances. High quality industrial epoxy floor paint. This solvent free, twin pack, will provide a painted floor that is resistant to heavy fork trucks, intense trafficking and chemical spillages i.e., solvents, oils, grease and fuels. It will provide protection to floors that demand high levels of durability and performance such as factories, warehouses, engineering workshops, plant rooms, in fact any floor that is heavily trafficked by fork trucks, pallet trucks or pedestrians. A two-part epoxy coating designed to provide a tough, durable, traction enhanced flooring for concrete and timber surfaces. Having excellent chemical and abrasion resistant properties make it ideally suitable for food production areas, workshops and all floors that demand a safe, slip resistant and hygienic surface. 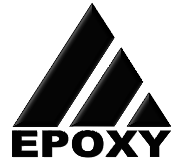 All our Epoxy Paints are of a very high quality and will provide painted flooring that is resistant to heavy fork trucks and intense trafficking. It will provide protection to floors that demand high levels of durability and performance such as factories, warehouses, engineering workshops, plant rooms, in fact any floor that is heavily trafficked by fork trucks, pallet trucks or pedestrians and chemical spillages i.e., solvents, oils, grease and fuels. A formulated single part polyurethane resin based floor paint. It offers good resistance to oil and grease and spillages to a wide range of chemicals used within industry. It provides a hardwearing surface for interior applications transforming drab, stained concrete flooring into a highly decorative area. Suitable for timber flooring. It will provide protection to a wide range of industrial floors and is ideally suitable for garages, warehouses, workshops, plant rooms, goods in/out areas, in fact any floor that is trafficked by fork lift trucks, pallet trucks and pedestrians. product is suitable for areas that are heavily trafficked by fork lift trucks, pallet trucks and pedestrians. Prices on our website DO NOT include VAT or carriage charges. These are calculated during the buying process for most UK mainland online sales and confirmed by email for North Scotland, off shore or sales overseas. A high quality industrial epoxy floor paint that can be applied in the cold winter months when other paints and coatings will struggle to cure. But it will still provide a painted floor that is resistant to heavy fork trucks, intense trafficking and chemical spillages i.e., solvents, oils, grease and fuels. It will provide protection to floors that demand high levels of durability and performance such as factories, warehouses, engineering workshops, plant rooms, in fact any floor that is heavily trafficked by fork trucks, pallet trucks or pedestrians. A handy 5 litre plastic bucket for mixing or painting, with lid.